Refer A Friend for June! Even though Speech & Hearing Month has come to an end, Semiahmoo Speech Services still has some very exciting news to share for the month of June! We are thrilled to announce the launch of our brand new, Refer-a-Friend Program! 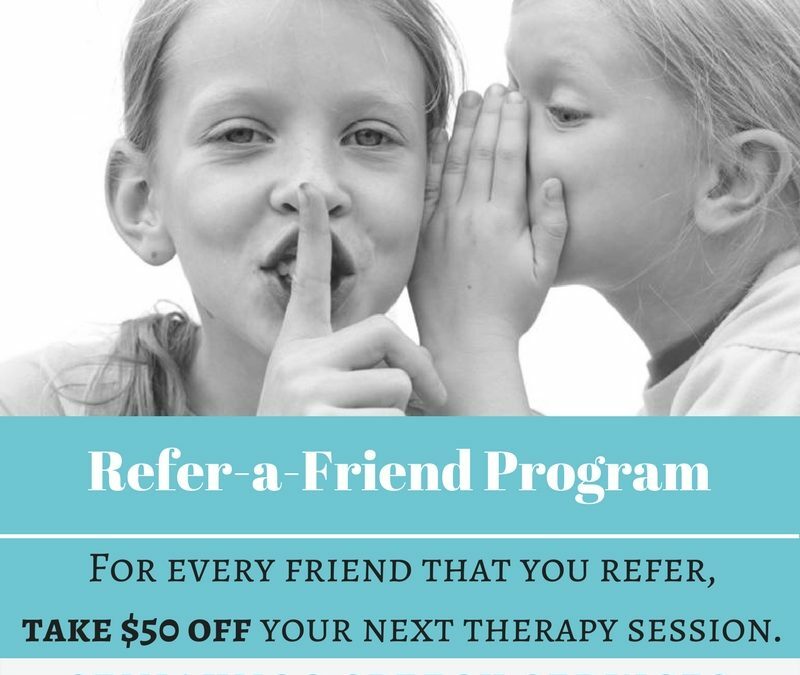 Now you probably have a few questions on your mind..
For every friend that you refer to Semiahmoo Speech Services, we will take $50 OFF you or your child’s next therapy session and your friend will also receive $50 OFF their initial consultation! 2. How many friends can I refer? There is no set number, you may refer as many friends or acquaintances as you like! For every friend that you refer to Semi Speech and who schedules their first assessment, you will receive $50 off. 3. How long will this promotion last? This promotion applies for the entire month of June and will last for 30 days, running from June 1 to June 30, 2017. 4. Do you have more questions? Don’t hesitate to give us a call at 778-574-1118 or contact us by email at semispeech@shaw.ca for more information or to speak to a professional. Early intervention matters, so this is the perfect opportunity to get your child assessed. Speak well, hear well, live well.